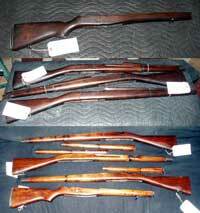 Master Craftsmen Stan Saperstein's historic interests and Re-Enacting lead him towards research and restoration experience with Military artifacts. Serving as Director of Preservation for several local museums including The National Museum of the American Revolution, Camp Olden, The Sons of Revolutionary War Veterans, and The NJ National Guard 112th Field Artillery brought on multiple restoration projects. Check back soon for more details on our museum work. 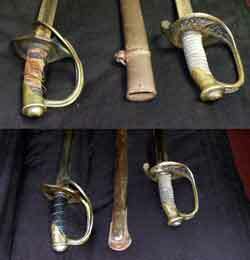 This Solinger German (top sword) marked S&K saber arrived with its leather handle missing and wire wrapping broken. 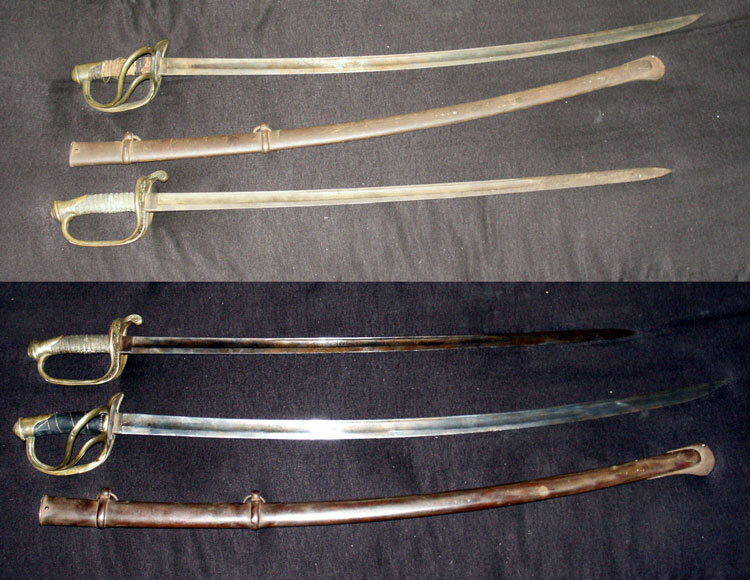 The blade was covered in light rust with minimal pitting and the scabbard was originally browned, now ruff or "fuzzed" to the touch due to lack of maintenance. 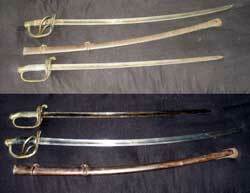 Conservation: Black leather wrap and brass wire were replaced on handle. 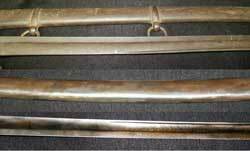 Blade de-rusted and waxed and buffed. 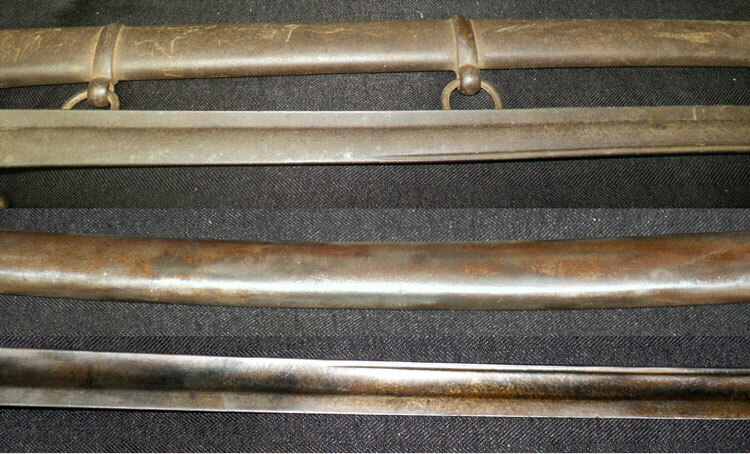 This rare Foot Soldiers Sword (bottom of upper photo, middle lower) arrived with a heavy ruffed surface on blade with minimal pitting, handle and wrapping in good condition. Conservation: Browned sword surface was buffed, re-browned, and waxed to excellent condition. Featuring a double barrel open hammer shotgun, this whitetail deer scene on a crude oak panel is inspired by Lora S. Irish carving patterns to show off this recently restored antique firearm. A whitetail buck and a young spike overlook young does crossing past nearby.